Silky Smooth - Totally Variable! Rode's NT2000 boasts fully variable control - a totally variable polar pattern, a totally variable highpass filter, and a totally variable pad, all located on the mic's body! 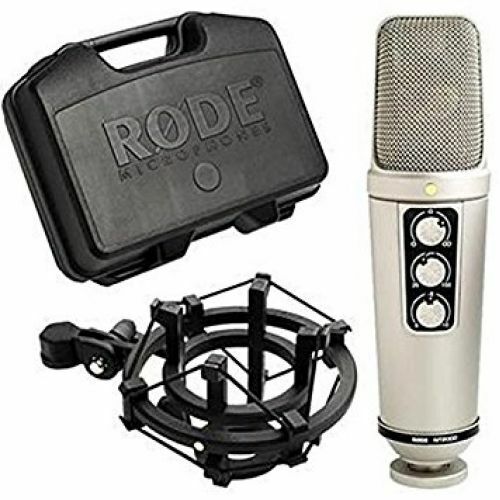 In this way, Rode has given you the ability to totally customize your sound from take to take, singer to singer, session to session with just one NT2000! If you've been looking for the one microphone from which to build your collection, you've found it in the NT2000! The heart of the NT2000 is Rode's Australian designed and manufactured TYPE HF1 dual diaphragm capsule. The frequency and transient response of this new transducer has been voiced to complement today's modern recording techniques, and yet still evoke the silky smooth character of the legendary mics of the 50s and 60s.